For some people, mornings are all about trying not to hurt anyone before their first cup of coffee. And, for others, early morning is a favorite time of day. I can easily say that I belong to the latter group. Because I have created a routine that I look forward to, every single day. I open my eyes and feel excited. I’ll admit, I wasn’t always a morning person. I also used to have a lot more free time and my mornings were long, indulgent. I’d get up at 5 am and get SO much done, all before breakfast. Well, as you know, things have changed for me over the last couple of months. Since my injury, I don’t get much sleep, so if I happen to fall asleep at 3 am, I can’t torture myself by getting up at 5 am, like I used to. I think that for me, this was one of the most difficult things to deal with. I wanted to stick to my routine so badly, but physically, I just couldn’t do it. As it turns out though, you can sometimes have your cake and eat it, too. Even when you’re busy, work a lot or just have a lot going on at the moment, you can still try to make the most of your mornings. Even if it’s just extra 20-30 minutes, getting an early start to your day can be life-changing. This can give you an opportunity to fit in things you normally wouldn’t have time for. For a lot of us, mornings are also the time of day when we tend to be most productive. I, for example, love writing early in the morning- it’s when writing comes very easy. You can use those extra 20 minutes to fit it a workout, do something creative, or, practice a little self-care. Use that time to do something you know you normally wouldn’t fit into your busy schedule. Out of all the morning rituals for busy people, this one is probably most important. I know what you’re thinking: “meditate? How can I meditate when I’m so busy? I don’t have time for that!” Well, the fact that you’re busy is exactly why you should try meditating. Meditation will help clear out your busy mind, it helps filter out the external noise- it can also help you counteract stress. 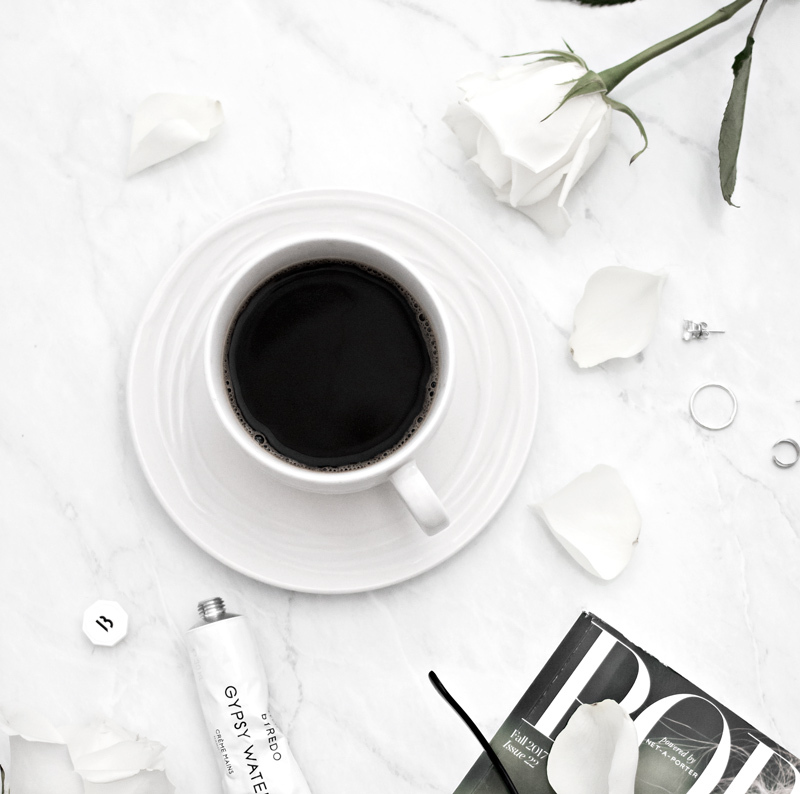 Having a very active life, whether it be work, school or family keeping you busy, often means that your mornings are the only time of day when you can take a few moments, just for yourself. Why not use those few moments to find some clarity and set a focused tone for the day ahead? For anyone who has a busy schedule, prepping the night before for the day ahead is key. For some of us, mornings are a bit (or a lot) hectic. By prepping the night before, you can eliminate some of that stress of getting ready for the day. 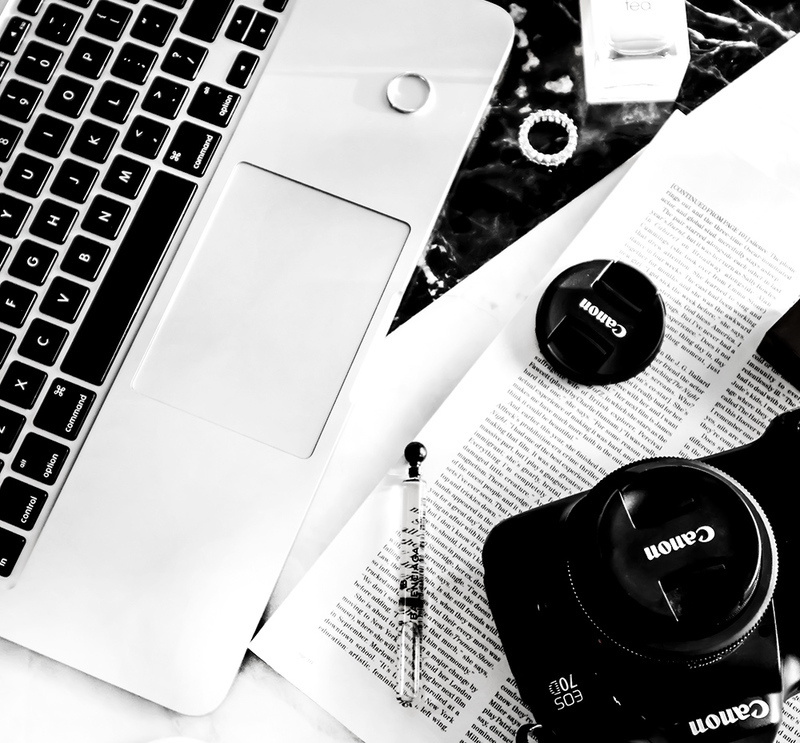 In the evening, take 10 minutes to clean things up, think about what you can do to make your mornings easier- prep your lunch, plan out your outfit, make sure you have everything you need ready to be packed, etc. Out of all the lifestyle changes, I’ve made over the last 5 years or so, practicing gratitude every single morning has made the biggest impact on my life. 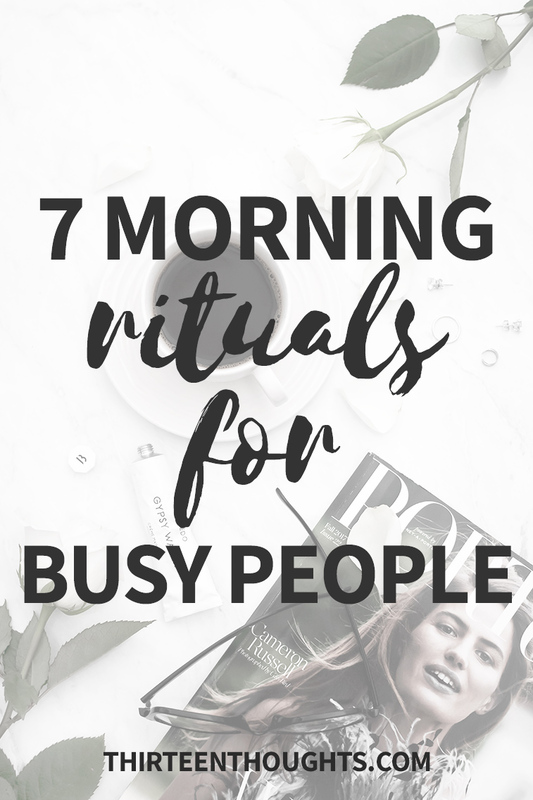 When you think about morning rituals for busy people, sitting down and making a list of things you feel grateful for doesn’t seem like something that would somehow benefit someone with a busy schedule. But it does. Think about what people usually say in the morning, the minute they get out of bed “ugh another Monday“, “ugh it’s almost weekend, finally“, “I don’t feel like going to work“, “I hate getting up early” and the list could go on and on. We complain SO much. Your mornings set the tone for the rest of your day, so if you’re whining and complaining the minute you wake up, everything will irritate you. Think about how different things would be if you took just 5 minutes to think about something you feel grateful for, every morning. Try using affirmations, listen to or read something motivating or inspiring. Take advantage of your commute and learn something new. Listen to an audiobook or a podcast. I love Audible, for instance, and listen to audiobooks on my way to work, all the time. My recent favorites are Solve for Happy by Mo Gawdat and The 5 Second Rule by Mel Robbins (already mentioned this one here on the blog, a few times). Point is, you can do something productive, even when you’re stuck in that morning traffic. There was a time when the first thing I did after I opened my eyes, was to reach for my phone and check my emails. This means that the minute I woke up, I was in *work* mode, already stressing and thinking about all the emails I need to answer, things I’ll need to get done. If you have a busy schedule, chances are you have a lot going on and your days are packed- your phone will be most likely glued to your hand for an entire day. Your mornings should be peaceful. Think about it: if you reach for your phone, as soon as you open your eyes, you end up spending your mornings doing what someone else wants you to do (answering emails, for example). When it comes to routines and habits, there’s no such thing as “one size fits all”. You have to adjust it to your needs, according to your priorities and your schedule. If something is unconventional but works for you, stick to it. I, for example, sleep with a pair of socks under my pillow, because I’m always cold when I wake up and that makes getting out of bed early, difficult. As soon as I hear my alarm go off, I put on my socks and get out of bed. Create a routine that works for you. Have something to look forward to, every morning. This is a great way to make yourself a bit excited for the day to come (even if it’s just a cup of tea you can have all by yourself before the day starts). Change your mornings, change your life- this is something that I say all the time. 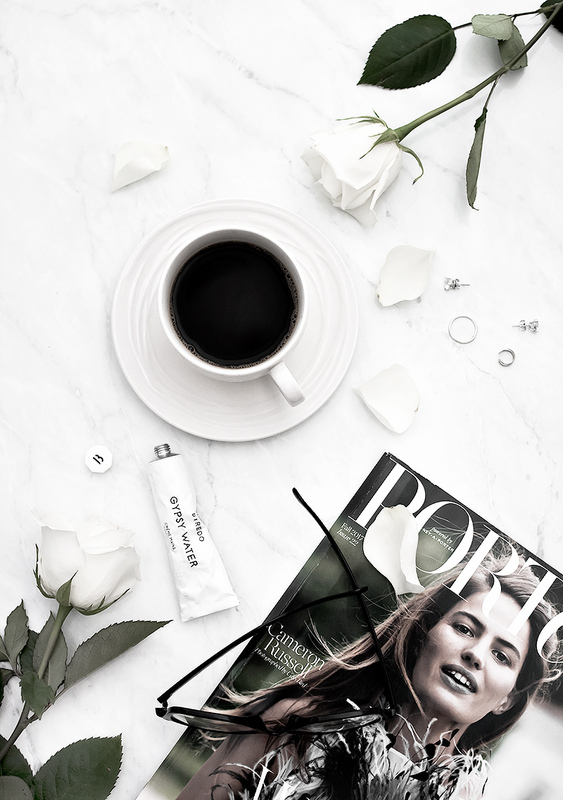 Even when you’re extremely busy or live a very active life, your mornings don’t have to feel rushed and messy. Remember that you are the one who sets the tone for your morning and day to come. This content includes referral links and/or PR samples/gifted products. Read my disclosure policy for more info.